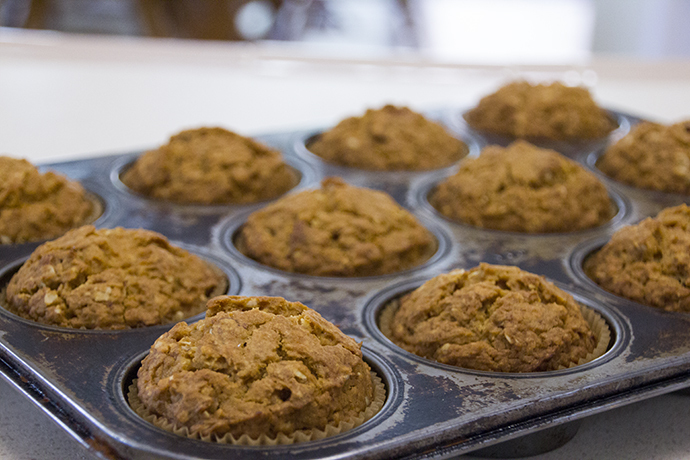 Moist and flavorful, with added texture and nutrition from oats, nuts and coconut, you’ll have a hard time believing that these muffins are free of gluten, refined sugar, dairy and eggs. They are incredibly easy to make, so you can whip up a batch just before breakfast, and freeze the leftovers for a later time. Enjoy them warm from the oven and spread with some Earth Balance or a fruit spread like apple butter. I like them with peanut butter. They pair well with freshly brewed hot coffee or tea, or a nice cup of cold milk. 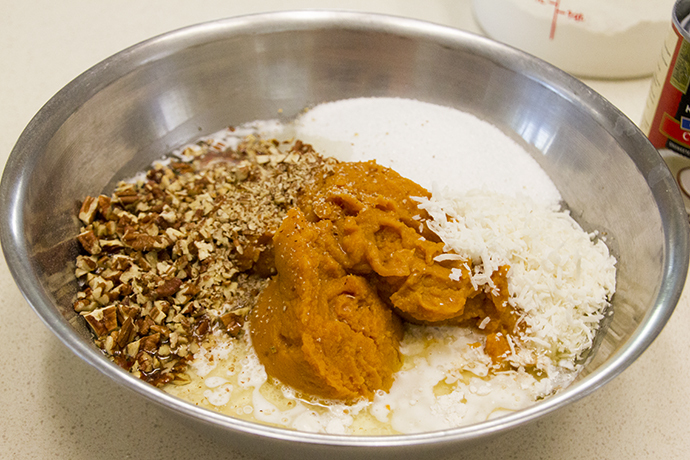 Add the remaining ingredients to the dry mixture and mix just until blended. Scoop the batter into paper lined muffin cups. 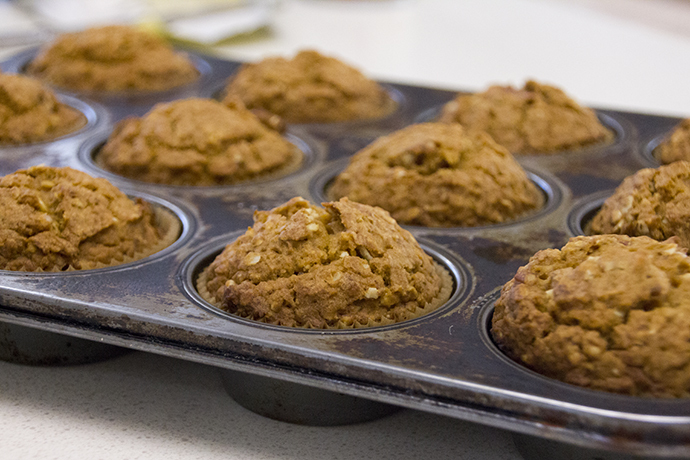 Bake the muffins until a they are lightly browned and mounded, and a tester inserted comes out clean. Preheat oven to 375°. Place pecans on baking sheet and toast in oven for 10-12 minutes, until browned and fragrant. Remove, let cool, and use a sharp knife to coarsely chop them. 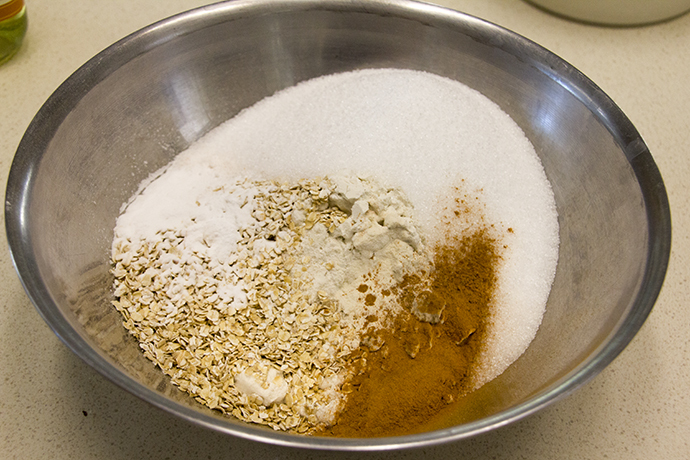 Place flour, oats, xylitol, baking soda, salt, xanthan gum and cinnamon in a mixing bowl. 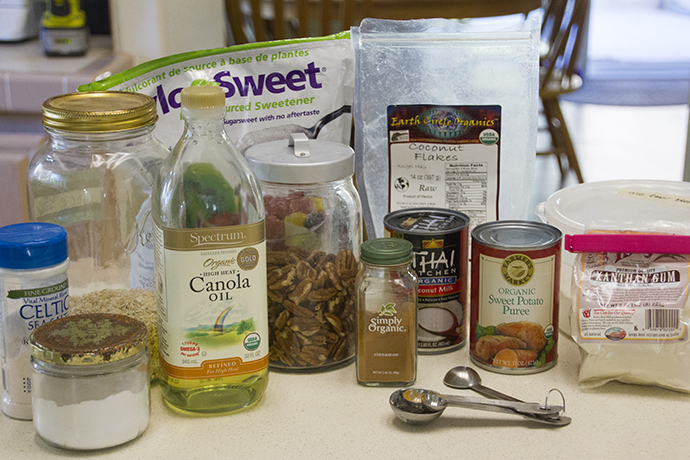 Whisk lightly to blend everything. Add all remaining ingredients and whisk just until blended. Do not over mix. Use a 2-oz. 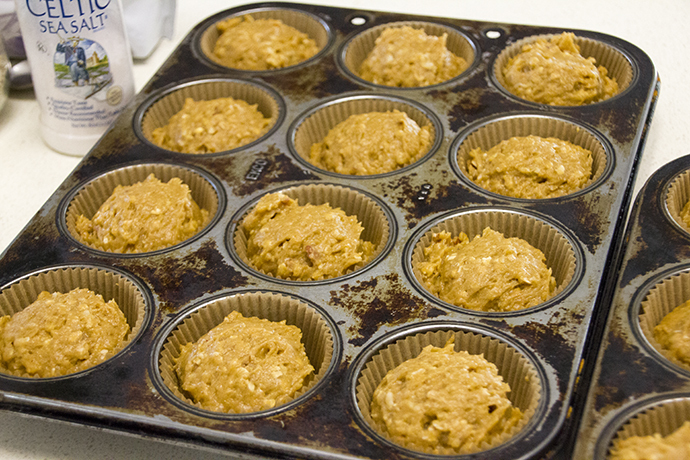 scoop (about a ¼ cup) to portion the batter into the prepared muffin tins. Bake for 25-30 minutes, until a tester inserted comes out clean. Allow to cool for ten minutes before removing from muffin tins. Makes about 20 muffins. 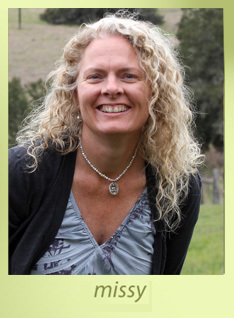 Store, tightly covered, at room temperature for 2-3 days, or frozen for several months. Rewarm frozen muffins in the microwave for about 20 seconds.